Last Tuesday, Santa Cruz County supervisors approved an ordinance that allows new dispensaries to apply for permits starting in December. The 3-2 vote blocked an effort by Supervisor Zach Friend to impose new, heavy-handed cultivation rules and renew the county's dispensary moratorium. That was set to expire next week. Last Wednesday, word came that a Browns Valley family is suing Yuba County over a raid in which their medical marijuana plants were seized and family members were jailed despite being registered patients. The lawsuit seeks an injunction to stop future "unlawful seizures" and "reasonable compensation" for the lost plants. In the August 2012 raid, deputies seized all but two plants from the three-generation, five-member family. On Monday, San Francisco medical marijuana advocates and a dispensary applicant met with Board of Supervisors Chair David Chiu in a bid to head off a tougher approval process for dispensaries on Mission Street between Alemany Boulevard and the San Mateo County line. Supervisors were expected to vote Tuesday on a proposal from Supervisor John Avalos to tighten up on the corridor, but as of press time, there was no word the vote actually happened. Also on Monday, San Diego dispensary operator Jovan Jackson was found guilty of marijuana trafficking charges in state court. This is the second time he was convicted in the case; an earlier conviction was thrown out after an appeals court ruled that dispensary operators have the right to a defense in state court. His case has become a cause célèbre in San Diego medical marijuana circles, where activists accuse DA Bonnie Dumanis of engaging in a crusade against medical marijuana. On Tuesday, the Eureka city council voted to keep the city's medical marijuana ordinance and let the moratorium on dispensaries lapse. The council in the Humboldt County community split 3-2 on the vote, which regulates personal grows on a land-use basis and would allow two dispensaries in the town. An amendment to prohibit co-ops and collectives and mobile delivery services failed. Also on Tuesday, Palm Springs voters approved a new dispensary tax. Measure B asked voters if they wanted to levy a tax of up to 15% of dispensary sales, with the city council setting the actual tax rate. The measure passed with two-thirds of the vote and is expected to raise up to $1 million a year for city coffers. 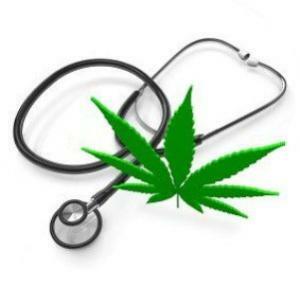 On Monday, state regulators reported that 1,243 people had been certified as medical marijuana patients. Last Thursday, state legislators urged the state Supreme Court to reject a pending medical marijuana initiative, joining Republican Attorney General Pam Bondi in opposing the measure. They claimed it would mislead voters and "open the door for anyone to smoke pot." Last Friday, Democratic gubernatorial candidate Nan Rich said she supported the initiative. "I've seen the research, I've studied the issue, and I've met with patients who clearly benefit and desperately need medically prescribed cannabis," Rich said in a statement. On Tuesday, a Miami Beach straw poll saw two-thirds approving medical marijuana. Medical marijuana got more votes than the leading mayoral candidate, although he had three other candidates to contend with. Last week, Rep. Lou Lang introduced a bill to amend the state's new medical marijuana law. The bill, Senate Bill 1955, has good provisions adding protections for veterans and for patients who want to use edibles, but also contains provisions that would remove two qualifying conditions that opponents think might allow for abuse. The Marijuana Policy Project supports the bill because "we feel the bill would do more good than harm." On Tuesday, the Milford planning board gave a favorable recommendation to a medical marijuana facility seeking to open there. Baystate Alternative Health Care needs a special permit for its dispensary and grow operations, and the request now moves to the Zoning Board of Appeals. One facility has already been licensed in town. Last Saturday, patients and state Sen. Constance Johnson (D-Oklahoma City) rallied at the state capitol to call for medical marijuana in the Sooner State. Johnson has been pushing medical marijuana bills in the legislature but getting nowhere, and the rally was designed to generate attention and support. On Monday, the city of Newport learned it would have a dispensary as of March 1, when a state bill passed earlier this year to regulate dispensaries goes into effect. Some law enforcement officials have vowed to fend off dispensaries through local bans and ordinances, but Newport Police Chief Mark Miranda said, "We don't have a dog in this fight." On Monday, a pending medical marijuana bill picked up its first Republican supporter. Rep. Jim Cox said he signed on as a cosponsor of House Bill 1181 after speaking with a woman whose daughter suffers from epilepsy. The bill was introduced in April, but has yet to be scheduled for a hearing. Last Thursday, the Department of Public Safety announced it had approved a dispensary in Brattleboro. Southern Vermont Wellness, Inc. will be the fourth and final dispensary allowed under the state's 2011 medical marijuana dispensary law. Last Friday, the state Liquor Control Board announced it would hold a November 13 hearing on controversial plans to integrate the state's medical marijuana program into its broader marijuana legalization scheme. Among other things, the board is calling for a end to patient grows and a reduction in the amount of marijuana they can possess. Pennsylvania State Government is an archaic bloated dinosaur which is unwittingly creating a police state. They will never have compassion for the old or ill, nor will they expend the effort to educate themselves on cannabis. They are too busy closing schools and building prisons. Queensland (Australia) is just like PA! Unfortunately, Queensland in Australia is another police state. Our government has just past laws stating that if you're in the same "group" (that they deem to be outlaw) you're not allowed to have more than 3 people in the same group colours in a given area!! Do you believe that? I thought it was 2013 and we lived in a free world. They don't even acknowledge a difference between heroine, cocaine, Cannabis, amphetamine or black-market aspirin (etc) - if it's a "drug" they don't like and you've got possession, you risk up to 15 years in gaol... Dumb-diddy-dumb-dumb!! Denying medical treatment by withholding necessary medicine to those who need it is de facto unnecessarily inflicting pain and suffering. Period.